The practice of therapy can be isolating. It’s easy to feel as if you’re on your own in the work of helping others. You don’t have to go it alone. 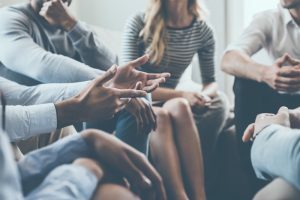 Become a member of EMDR Professional Training’s growing community of professional therapists where you’ll find resources, advanced training in EMDR Therapy, and supportive collaboration with your peers. Membership includes access to videos and resources, discussion groups, and monthly meetings with either Dr. Curt Rouanzoin or Dr. Michelle Gottlieb. Membership also gives you discounts on our Advanced Trainings, both live and online. The on-line resources and benefits are growing all the time. Join today to become part of this vibrant community! Your work is important. Join our membership at EMDR Professional Training and get the support you deserve.